After seeing these last images from Goodwood of the BMW M8 Gran Coupe Concept, I can say with confidence, that the sleek four-door grand tourer is the most beautiful car – series production or concept – which was unveiled this year by BMW. Of course, beauty is in the eye of the beholder and others might disagree with me, but if you look at the overall design and proportions, you can see why one would be attracted to the M8 Gran Coupe. While the car was unveiled in a concept form, the word is that the production series model will not deviate much from the initial design. 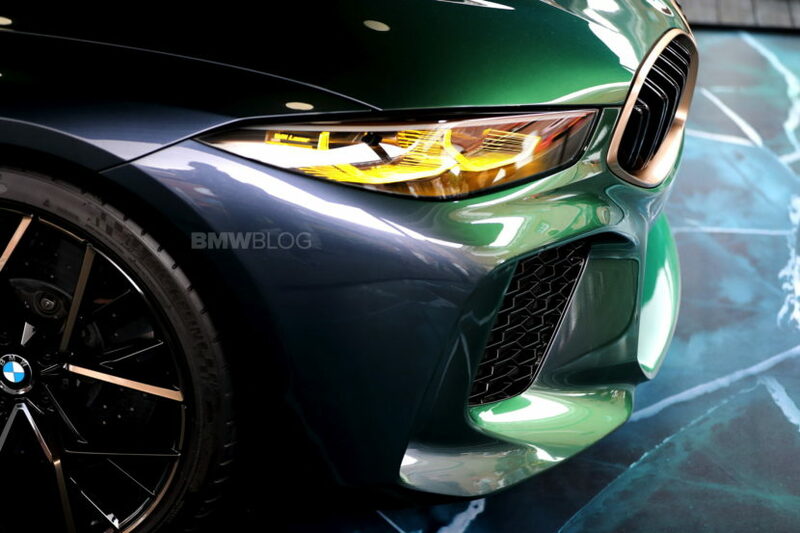 The front already looks like ready for primetime, with large air intakes typical to M cars, while the rear might get some slight adjustments to the bumper and the trunk lid. The M treatment adds M-typical elements such as large wheels, massive air intakes, widened fenders, a carbon-fiber roof, a prominent rear spoiler, and four exhaust pipes. The kidney grille, the wheels, and the exhaust tips are finished in rose gold, a material that represent the epitome of luxury. 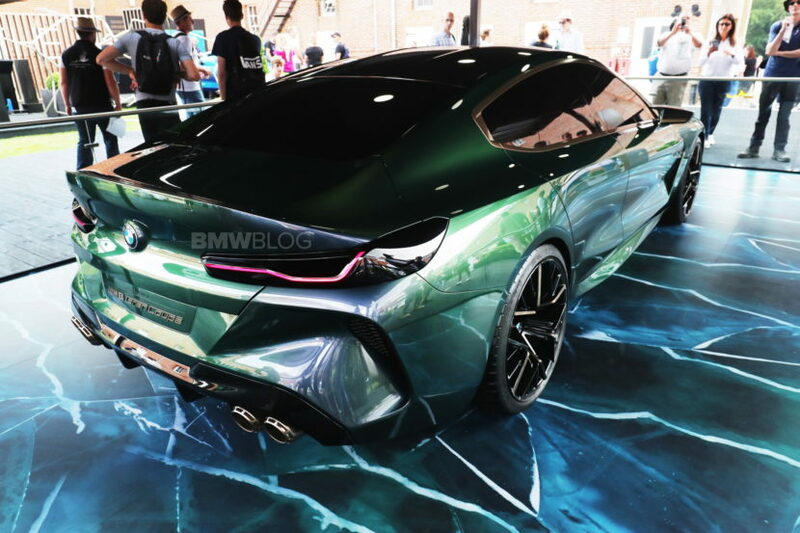 Most likely the lights are the area where we will some more changes, both upfront and in the back, but a laser light option and some OLED taillights – optional as well – could bring some excitement to the lighting system. 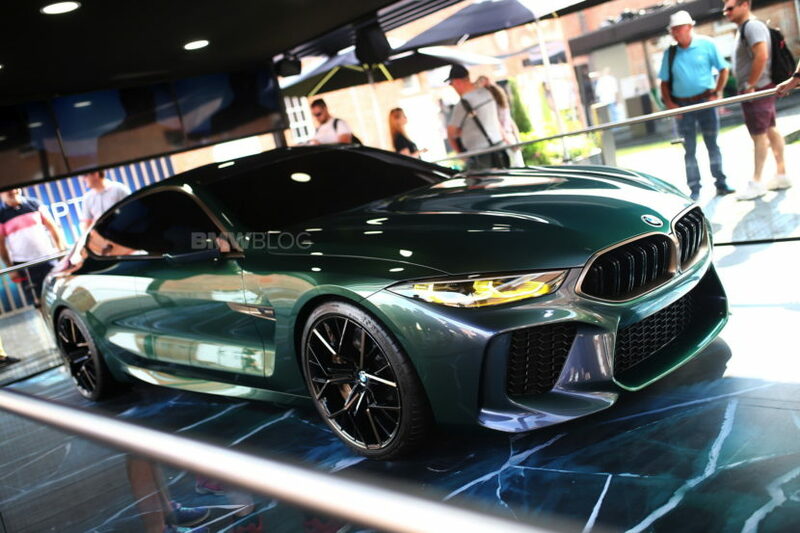 The M8 Gran Coupe is painted in a blue-green called Salève Vert, after the name of a mountain above Geneva, but as most concept car colors, it will likely not be part of the standard color palette. 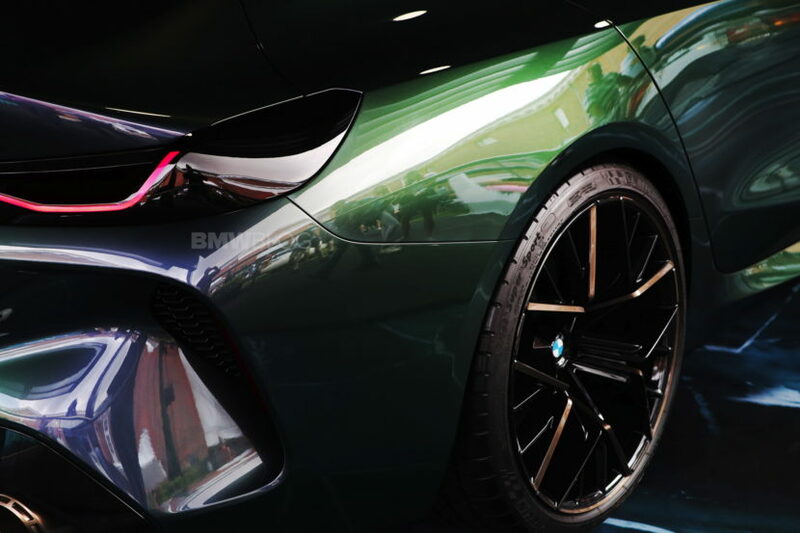 When it arrives in 2019, we can expect an engine output of over 600 hp for the BMW M8 family, along with the M xDrive all-wheel drive which should offer a standard sprint of less than three seconds. So we will get not only some great looks from the Gran Coupe, but also some mind-blowing performance.